The QR-Codes screen is used to manage the associations between item and equipment records, and the QR-codes and moment-sets associated with them. In order to pair a QR-code with an equipment or item record, you will first need to generate a new short URL or use an existing, unused short URL. Next, you will need to pair the QR-code to the equipment or item record. This can be done automatically or manually. Once complete, you can then assign a moment-set to the equipment record. Now, when a user scans the equipment QR-code, they will have those moment-set options available to them. QR-Codes act as the interface between items and equipment and the self-service portal. 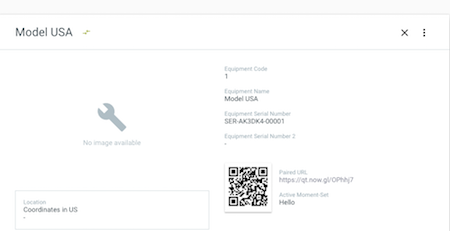 When an item or equipment record has been paired with a QR-Code, customers can scan the QR-Code to view details, report issues, and request services. A “short URL” is basically a unique web page that is linked to a QR-Code. When a QR-Code has been scanned on an item or equipment by the customer, it will direct them to this web page with item/equipment information. In this web page, customers will be able to view details and service history, and request services. 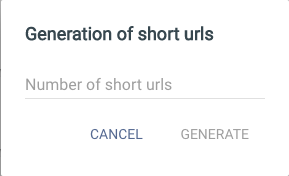 In order to generate short URLs to use for item or equipment records, you can select the + icon and enter the amount of short URLs you want to create in the dialog. 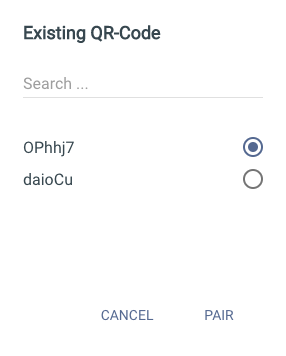 You can also manually pair an item or equipment record to a QR-code by selecting the Pair Manually option and selecting the desired short URL from the list in the dialog. 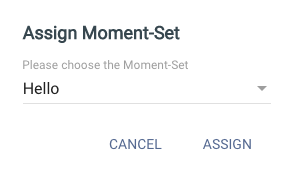 After a short URL has been assigned to an equipment or item record, you can then assign a moment-set to it by selecting the Assign Moment-Set option. You can then select the moment-set you wish to associate with the item record and select ASSIGN. Equipment records refer to the customer equipment. When paired with a QR-code and placed on the equipment, details can then be viwewed, issues can be reported, and services can be requested. Image The image associated with the equipment record. Equipment Code The unique code associated with the equipment. Equipment Name The name of the equipment record. Equipment Serial Number The manufacturer serial number associated with the equipment record. Equipment Serial Number 2 If applicable, the second serial number associated with the equipment record. 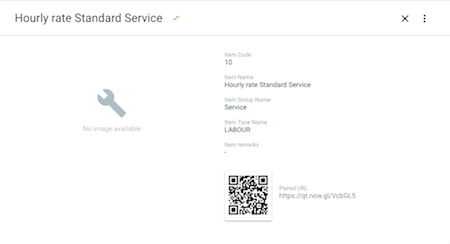 Paired URL The link associated with the QR-Code with which the customer can view equipment, service request, and service status details. Active Moment-Set The moment-set with which the equipment record is associated. Item records refer to the parts, labor, travel, etc. used in the course of fulfilling a service request. Image The image associated with the item record. Item Code The unique code associated with the equipment. Item Name The name of the equipment record. Item Group Name If applicable the name of the item group to which the item belongs. This is often used scenarios for multiple parts. Paired URL The link associated with the QR-Code with which the customer can view item, service request, and service status details. Active Moment-Set The moment-set with which the item record is associated.